Many older Americans (older meaning anyone over 20) have no idea who Jake Paul. RiceGum, or Brat Productions are. However, they may want to find out, because young YouTube stars are making millions of dollars from advertising revenue for their YouTube channels. While no one begrudges youthful entrepreneurs for their online businesses, experts say there is a problem looming. The YouTubers making millions are not children, but the audience they influence is made of children and teenagers. Not only are parents making noise about the influence of the YouTube stars on their children—but also they are plugging websites and apps that may not be legal. 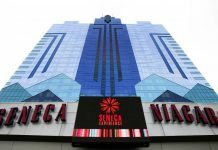 One of the biggest concerns is a Polish gambling site that is under investigation for fraud. YouTube was begun by three college students who were looking of video footage of the Indian Ocean tsunami and the Super Bowl incident in which Janet Jackson had her breast exposed. They were unable to find the footage easily online, so they founded a video sharing website. With a $20 million investment from some venture capitalists, the company rapidly grew. YouTube has grown rapidly, according to studies done. Over 1.3 billion people use YouTube on any given day. Five billion videos are viewed on the platform daily. Three hundred hours of video are uploaded to YouTube every minute. The company has revenues of over $8 billion per year. Not only has YouTube become a platform for business people, but the platform has made many people rich as well. Every kind of individual from social and fashion influencers to comedians to child stars have made millions of dollars on the channel. 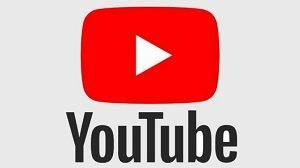 The YouTube channel platform works when people upload videos to the channel. Many of the popular influencers have their own channels on the platform. They receive money when advertisers place ads on their videos or channels. The more views each video gets the more money the social media moguls make. While it sounds like fractions of pennies per view would not be enough to make anyone wealthy, the largest influencers on the platform gets millions of views for a single video. The wealthiest influencer on the platform made over $15 million last year on his videos. Three of the wealthiest young YouTubers, Jake Paul, and Bryan Le (RiceGum), as well as a production company, have been taking a lot of heat on social media recently. Several influencers have been criticized in the past for their promotion of in-game app purchases and loot boxes, which some countries see as a form of gambling. However, the newest controversy is over mystery boxes. 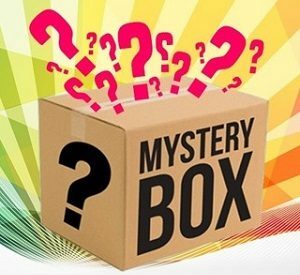 Mystery boxes are virtual boxes that people can buy online. The boxes can then be opened. Some of the boxes contained prizes, and some have nothing. Like loot boxes, mystery boxes are generated to win by random number generators. However, the newest fad mystery box site, MysteryBrand, advertised by Paul and Le has been promising outrageous prizes that young people think they are going to win. For example, the MysteryBrand website is advertising a luxury house in Beverly Hills as one of the prizes—but the house is not for sale and the owners have no plans to sell it. The boxes advertised range from $4.99 to purchase to hundreds of dollars to purchase, but the prizes are supposed to be everything from cash or Lamborghinis to jewelry. Paul and Le have nearly 30 million YouTube subscribers between them, many of them under the legal gambling age. 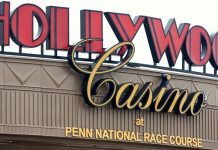 According to gambling experts, not only is the website illegal in the United States, it is also illegal in Poland where it originated. Several countries, including the UK, have launched investigations. YouTube has also said that it is going to investigate. If Paul and Le are found to have broken the user agreements of YouTube, they could be banned, which would cost them millions of dollars a year in revenue.